Hats for men seem to be everywhere, but women are treated to less of a selection all too often. Not so here, as every single one of these hats is designed for the ladies. Each item in this line features soft shearling sheepskin to keep you warm and looking fantastic, all while subtly highlighting your femininity. 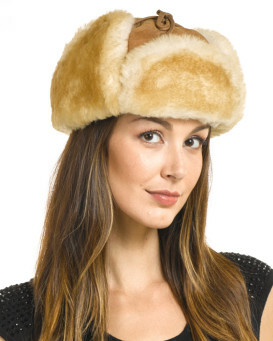 We offer a broad range of colors in our women's shearling sheepskin hat line so you can select a hat which which matches your wardrobe. And with these hats being quite affordable you can consider picking up more than one to enhance your options when you accessorize. Solid colors like rich browns, deep blacks, and soothing tans will give you plenty of traditional options, while our offerings in plain will go well with your more colorful outfits. 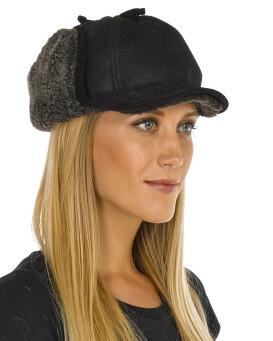 The hats are made of durable materials like real napa leather, resilient wool blends, attractive suede, sturdy nylon, and of course genuine shearling sheepskin. The liners in these hats are made for comfort so you'll be just as happy with your hat after a long day on the slopes, or just after a quick trip to the mailbox. 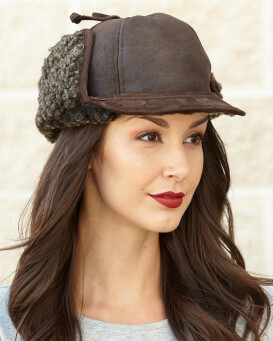 The construction of these hats is excellent, so you can be sure you are buying a piece of headgear that will last. We have a range of styles available in this line. 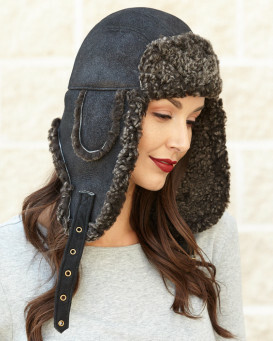 Trapper hats with back country style, aviators that offer a classic bomber look, pilot hats that really hearken back to the beginnings of manned flight, and our Alaskan trapper hats offer another twist on the outdoor classic so utilitarian that it is issued to police forces across Canada and America. 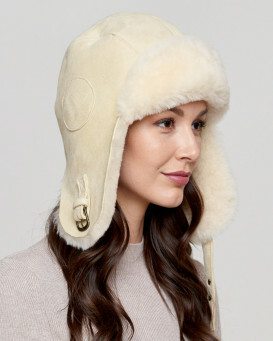 So go ahead and look through the options and find yourself the perfect hat to keep you toasty warm on those longer winter nights, for brisk days on the ski slopes, or for trekking through the woods. No matter which of these you choose you are certain to be not only feel cozy but you will also be fabulous looking. "Great thing that this hat doesn't have a lining which is very often polyester or some other nasty materials which make you feel uncomfortable in your hat. In this model, your hair and skin touch nice natural fur. this is the second hat I bought on this website, both experiences are great. Good communication, prompt delivery. Very happy." "Lovely hat for walking the dog on a cold day. 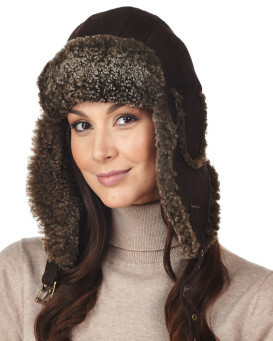 The hat fits well, is soft and comfortable and can be worn with flaps up or down. I bought the Napa leather as I thought it would not mark as much as a suede finish when exposed to rain or snow. Lovely hat, good delivery time to the UK from Canada, thank you"
"My order has been dealt with very quickly and efficiently and my new, handsome, and beautifully made, hat arrived not long after the order had been placed. The first outing was up to town meeting friends for lunch on a very cold day here in London. Your hat kept me warm walking around Piccadilly Circus, thank you!" "Daughter and I used these for after skiing in Italy! Perfect! Really warm. The ties are useful for when windy/really cold, but it looks cool undone. Easy to tie up as a normal hat. Great quality and value for money. Love them!"